Download our Elk Grove Mobile App Today! Looking for Elk Grove homes for sale in the 95758 zipcode? Welcome to your Elk Grove home source! 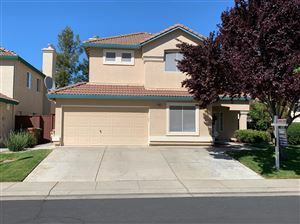 You can search all Elk Grove California Homes for sale right here! If you are looking for Elk Grove real estate listings, make sure to sign up for our daily alerts so that you will get all of the new listings, back on market listings and price reductions before other buyers even know about the listings! Also make sure to check out our Market Insider tab above. Here you will find information. Whether you are a buyer or a seller, this is one of the biggest events of your life and you deserve real estate professionals with experience and a track record you can trust! Find Your Next Elk Grove home! Lori and Bruce, along with their Buyer's Agent's, cover the entire Sacramento region. Once you find a few home listings that you want to see on the website, just email or call us to set up an appointment. We have a combined 60+ years of experience in the real estate industry in the Sacramento area. We specialize in helping our buyers purchase Elk Grove and Sacramento foreclosure properties, including bank owned homes and short sales. We work with first time home buyers, move up buyers and investors. When it's time to sell, you need someone who will market your home, show to prospective buyers, negotiate the purchase contract, arrange financing, oversee the house inspections, handle all required paperwork and supervise the closing. Lori and Bruce take it from A to Z. We are the very best at what we do. When you sell a home in 2013, the traditional methods of selling, no longer apply. You need a strong Internet presence. You need to dominate the Internet. Our Elk Grove listings are syndicated to over 40 different real estate websites like Trulia and Zillow. We also prospect daily for buyers to purchase your home!